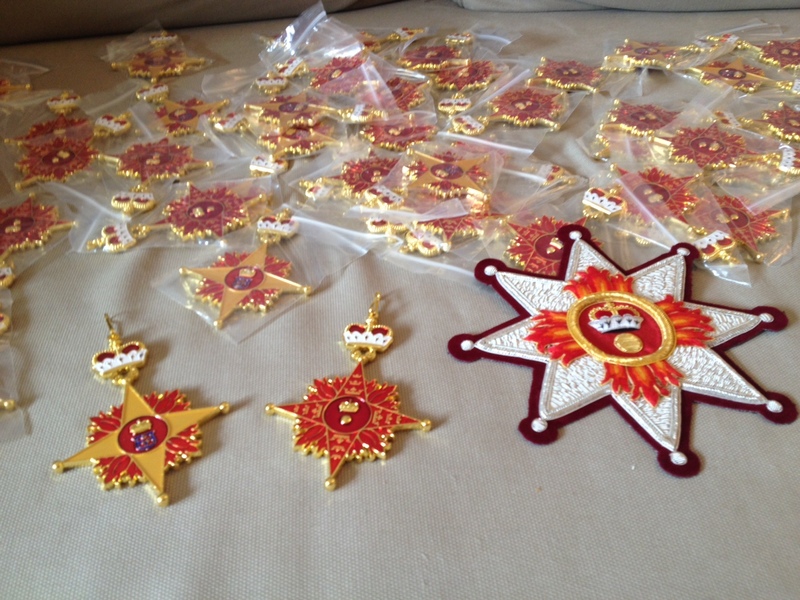 We are delighted to announce that all the insignia specimens of the Order of the Flame of Lorenzburg have arrived today. 50 insignia medals are waiting to be awarded to distinguished citizens, foreign heads of states and others that support or do good deeds for the nation. The front of the insignia depicts a four-armed red compass rose with golden crowns on the arms and red flames bursting forth from the angles. The center of the insignia depicts the crowned pea, a reference to the fairytale of the Princess and the Pea, a reminder that even small things matter. The back of the insignia is a four-armed compass rose in gold with flames. The center depicts the Princely monogram of His Serene Highness and Gentle Glory Freï under a princely crown. The Insignia shall be carried in a pink moire ribbon over the right shoulder, hanging on the left hip. Next Next post: Gross National Happiness!